Ida Jeanette Wilson was born on 30 May 1876 in Buffalo, Erie County, New York. William Simpson Wilson and Kate DeYoung appeared in the US federal census of 1 June 1880 in Buffalo, Erie County, New York, at 1580 Main Street and an infant daughter, born February 1880, is recorded but struck through, apparently having died (?). Other members of the household included Ida Jeanette Wilson, Margaret Blanche Wilson. She was a clerk, according to the 1892 census. She married George Alfred Chapin, son of Herbert Chapin and Emma Crittendon, on 1 January 1897 in Buffalo, Erie County, New York, at home of M/M Peter Wilson of Richmond Avenue, R Chapin family history, newspaper wedding announcement, Ida Wilson family bible, names signed Alfrid Chapin, Ida Jenet Wiilson; witness H W Chapin presumed to be George's father Herbert The marriage was witnessed by William Simpson Wilson and Herbert Chapin. Ida Jeanette Wilson and George Alfred Chapin were living in Buffalo, Erie County, New York, at 116 Hawley Street after their marriage. She was managing a florist shop, according to the the 1930 census. 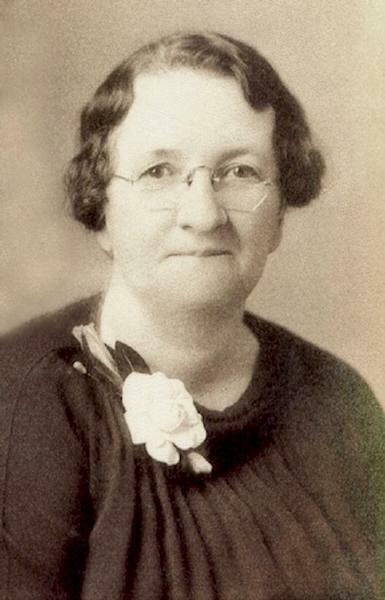 Ida Jeanette Wilson became a widow at the 22 May 1940 death of her husband George Alfred Chapin. The following appeared on 17 May 1954 in the Buffalo Courier-Express: [Died] Infant Ross Smith of 74 Broad St., Salamanca, N. Y., suddenly in Buffalo, May 15, 1954, at 2061 Fillmore Ave., beloved son of Robert and Kathlyn Ross Smith; grandson of Mrs. Ann Ross and Mr. and Mrs. Russell McClure; great-grandson of Mrs. Ida Schawel. Funeral from the Nagel Funeral Home Inc., 587 East Delavan Ave., Tuesday morning at 11 o'clock. Ida Jeanette Wilson died on 20 November 1955 at age 79 in Kenmore, Erie County, New York.